Crunch cross-party talks have been taking place ever since a walkout by the administration’s Conservative members last week. All but one of the nine Tories, who ran the council alongside five independent members, stepped down after reaching “deadlock” with their counterparts amid a row over job adverts for senior posts. After failing to find a “critical mass” of members to join forces with in a new coalition, the SNP group was preparing a motion to put itself forward as a minority administration. But the bid, which would have been put to this morning’s meeting of full council, was rejected by convener James Allan in a move branded “completely outrageous” by his SNP colleagues. 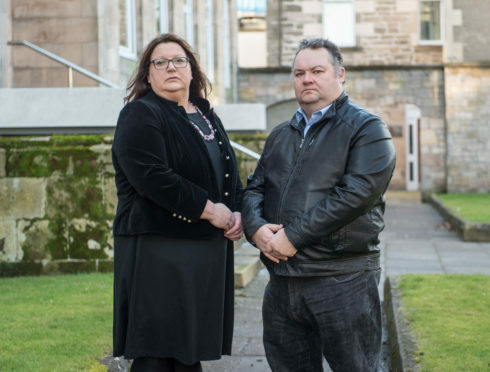 Group co-leader Shona Morrison said: “We have a group of Conservatives who have walked out of administration and a Conservative convener who thinks it is acceptable to prevent an alternative administration being proposed. “The convener is now acting way beyond the realms of democracy and reason by blocking this from even being discussed in the council. “The SNP has negotiated in good faith and we made it clear that if a partnership could not be formed then we would put forward a proposal to form a minority administration. However Mr Allan said he has scheduled a special meeting for next Wednesday to allow the topic to be debated in full. He said: “It was just to allow the business to carry on tomorrow and allow the council to discuss the leadership motion next week. “I just want the best for the people of Moray. “There are talks still going on. Everything will be discussed and we will see what’s best. Conservative group leader Tim Eagle said: “I think it is very important the we get Moray back on a strong political footing. “It is a shame though that a combination of groups has not been able to come together yet to take on the administration. He added: “At the end of the day we want what is best for Moray.